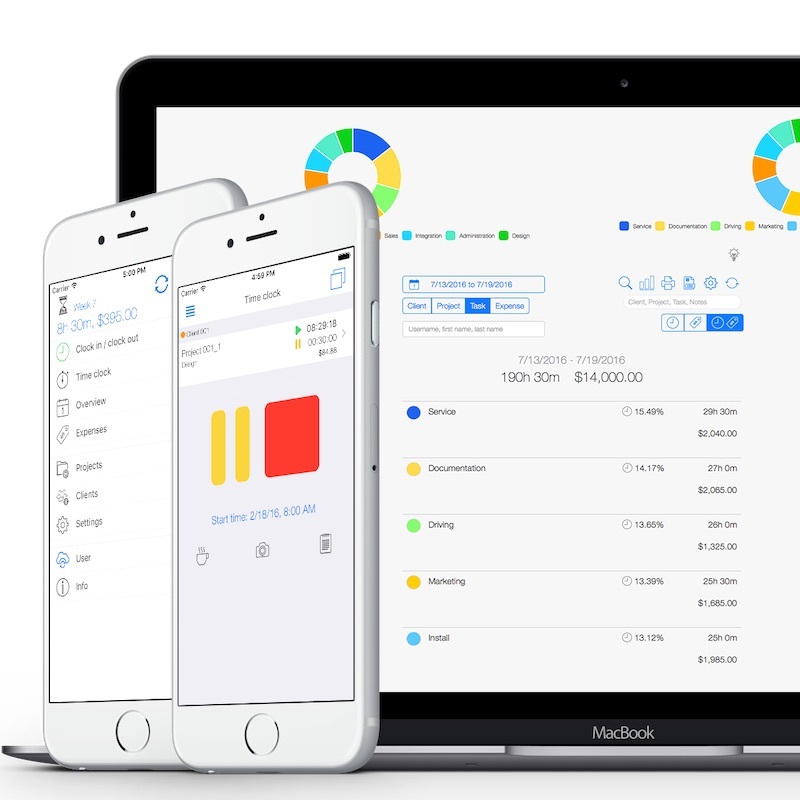 TimeTrack is efficient, user-friendly and has been in development for 5 years. We work together with our clients, which is why we highly appreciate suggestions to improve the time tracking app. We believe time is too valuable to be wasted on secondary activities. However to improve, you need to visualize your progress. Our job is to provide the actual state. Your employees can easily enter their working hours manually and specify the task or project they have been working on. All data is synchronized in real time and can be visualized instantly in the weekly overview. You can access the data from any device. The goal of our time tracking system is to give you a good overview of your projects, tasks and their progress. No time to enter data while on the go? No problem – start the timer and get going! The GPS tracker will locate you and let your team know how you are doing. You are in the office, overwhelmed with work and the last thing you want to think about is recording your working hours? A situation we are all familiar with. This is why we integrated a timer in our web app. Manual entries are not required, just open the app, press record and continue with the important activities – just like with your smartphone. A successful project requires an efficient project controlling. Define the period, the clients and employees involved while on the go or in the office. The result: clear graphs and project reports. Together we keep an eye on working hours, project progress and activities. See how productive your team is really working. All entries can be exported as pdf files or CSV/excel and reused on third systems. Many employees are working on different projects, so that the overview in the team slowly gets lost? Not with TimeTrack! You decide who can access specific client or project data. There are more than 50 user rights that can be assigned to employees. This way, you limit the user’s access to certain activities. They can only edit and see data of projects they are working on. We automatically track your project and display target/ actual states. We provide accurate information about budget use and project returns, so that you continuously improve. Are the current working hours complying with the planned ones? 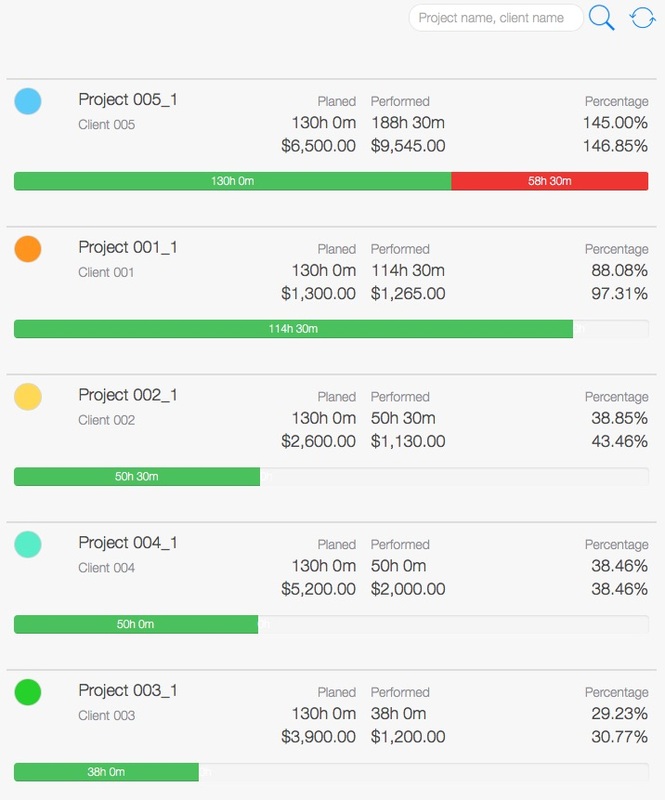 Has the project cost you too much time and money? 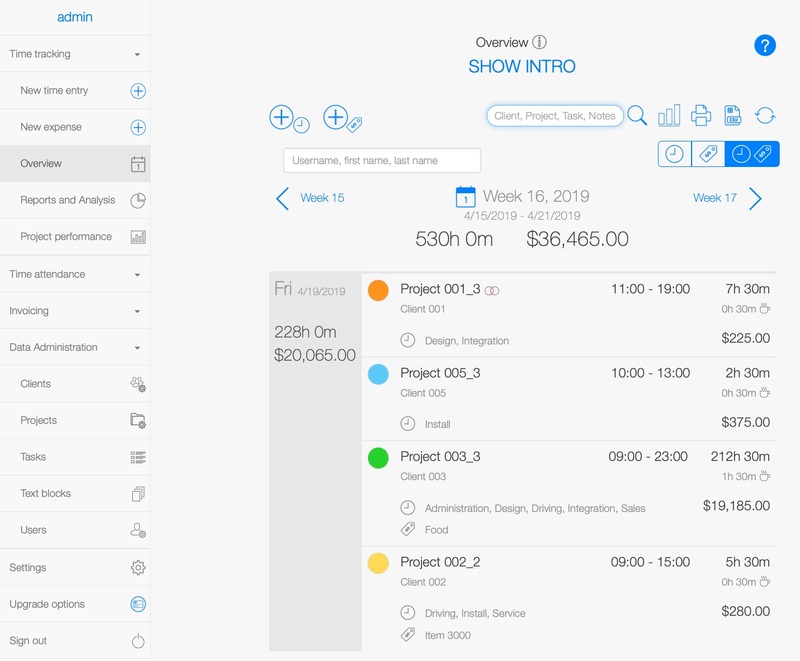 The web time-tracking system from TimeTrack is here to help you visualize which projects are efficient and which ones are not. 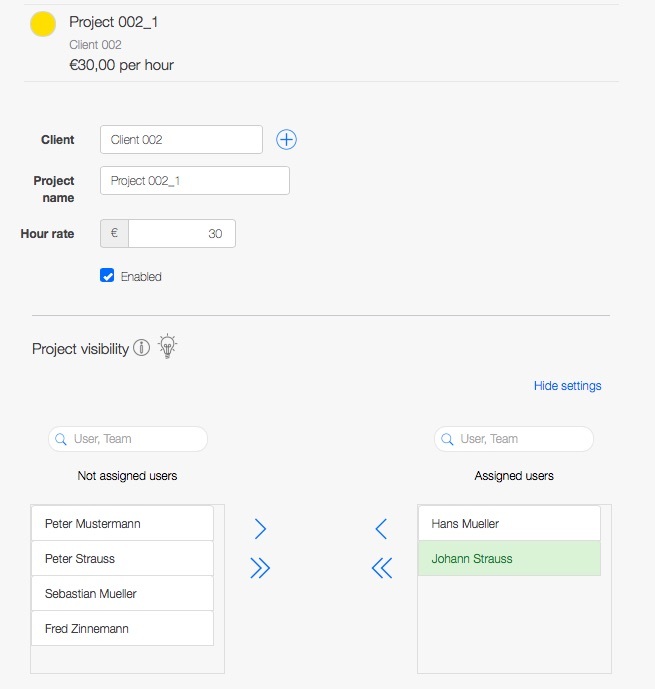 Problem ares are highlighted, so that your team gets a notification as soon as you are not working cost-covering. Your job is to set the expected project duration and budget. Our job is to track your progress and provide the best overview. Together we will optimize the working process for future improvement. 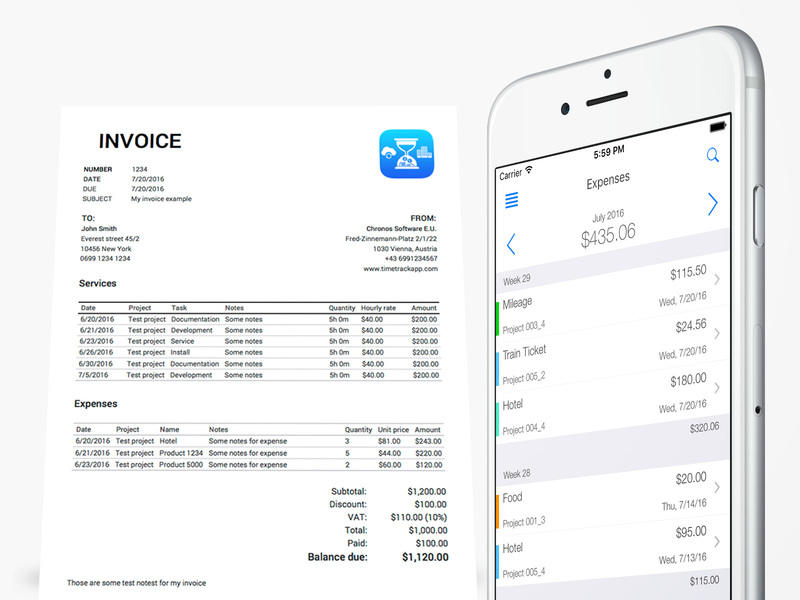 We create invoices and time sheets quickly and professionally. You just have to select a client and we will find all the incurred costs. We make invoicing easier and help you get receivables faster. Invoice layouts are easily editable. More than 50 settings are available for adapting the invoices. 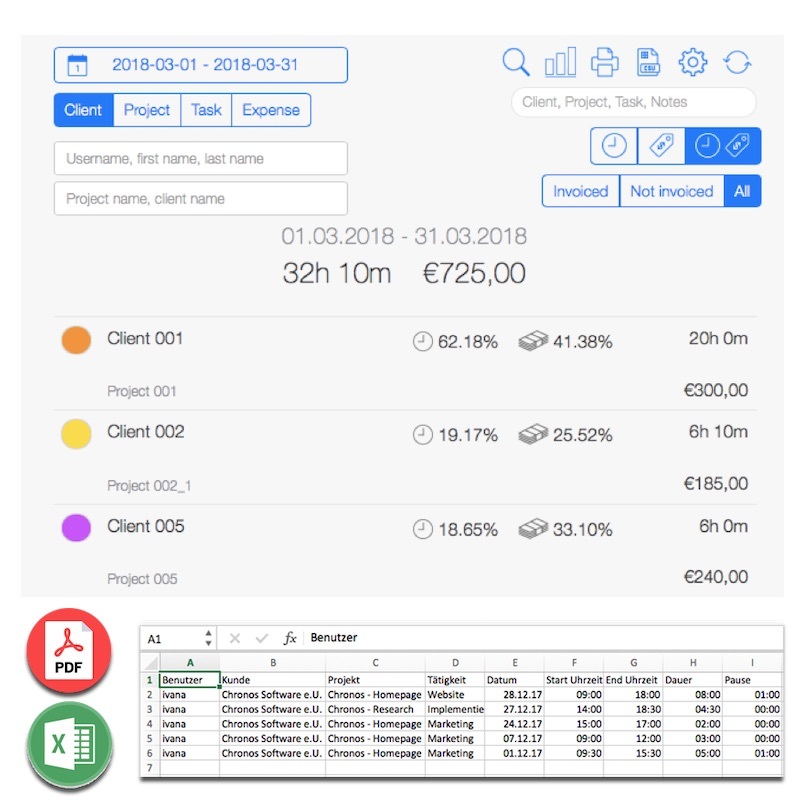 Your task is only to select a project and add it to the invoice. Visualize the result instantly. If necessary, adjust the layout and done! Send it, lean back and wait for the receivables! Track your time wherever, whenever. The web-based time-tracking system is optimal for office work, but while on the go you can easily access our mobile time-tracking system via your smartphone. TimeTrack is easy, flexible and accurate. We help you allocate your time better, because we beliebe time is too valuable to be wasted on secondary tasks.